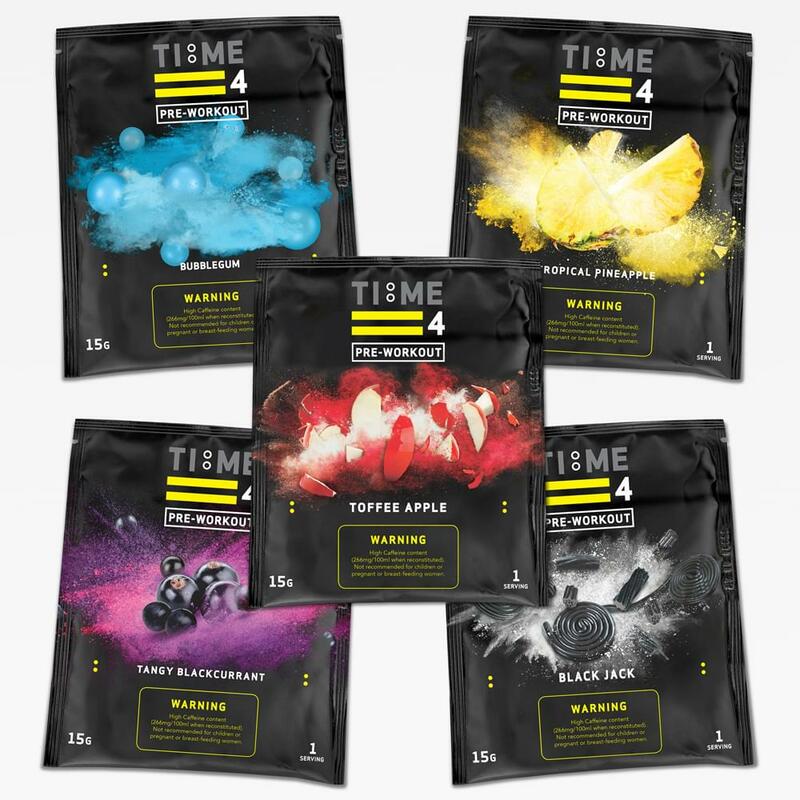 This offer is designed for you to sample the various delicious flavours available in our Time 4 Whey Protein and Time 4 Pre-Workout ranges. 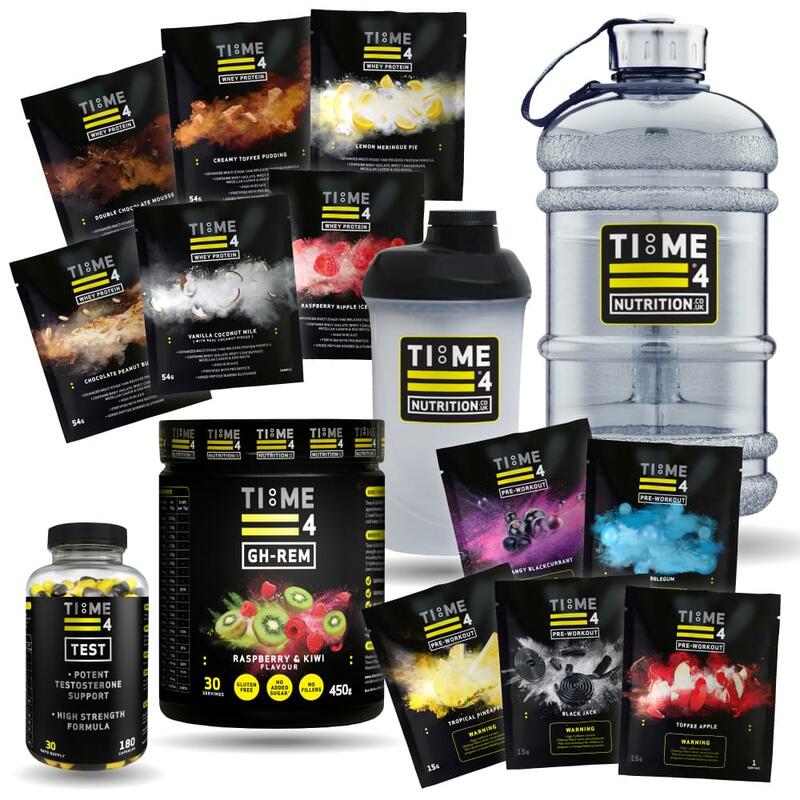 Also included is a Time 4 Nutrition Shaker Bottle for you to use with our products. 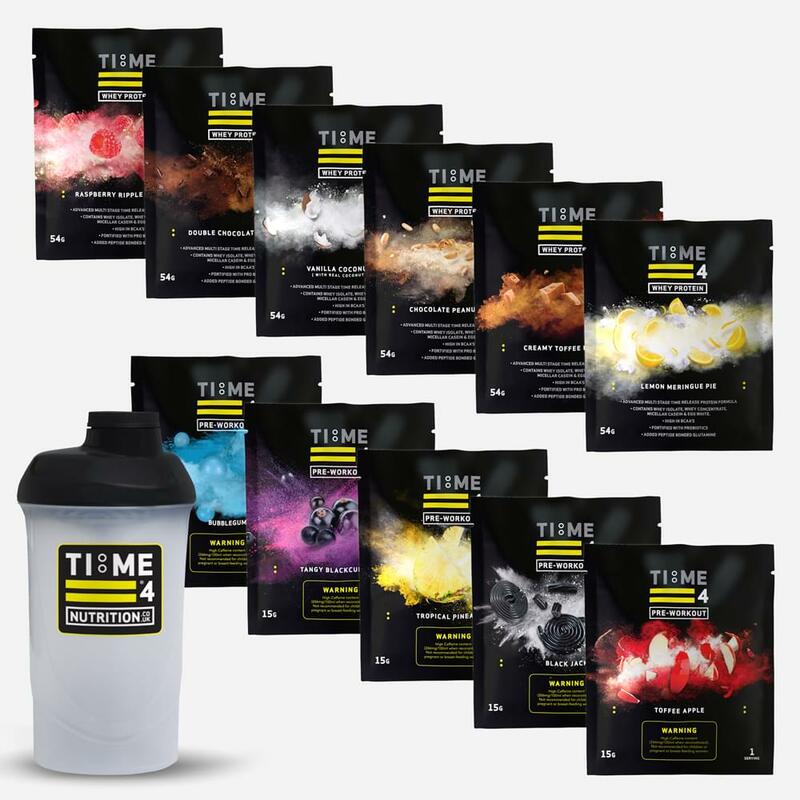 TIME 4 Whey Protein can be used with or in-between meals and is ideal to be taken before bedtime due to the time release formula. Mix 2 whole scoops (36g) with 225ml cold water in a shaker.